Learn to conduct both the Emergency First Response Primary (CPR) and Secondary (First Aid) and Care for Children programs in this comprehensive 8 hour program. Prerequisite: EFR Student, Care for Children Student & PADI Divemaster or higher. For more information send us an e-mail on this instructor level program OR call us at 1 780 438-1218. Prerequisite: CPR / First Aid Instructor Adult/Infant/Child. 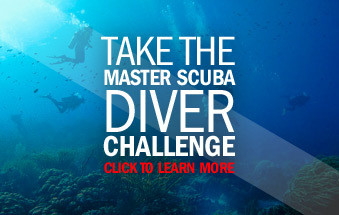 Learn to teach PADI’s most popular and most flexible specialty course. Prerequisite:IDC Completion. PADI Enriched Air Certification (or other qualifying certification). This course will instruct you how to teach divers who would like to be able to understand more about diving equipment and how it works. It will also teach how to perform many quick fixes while out at a dive site without have to end a day’s diving. It will start with simple things like mask buckles and take you all the way to trouble shooting regulators and basic Drysuit & Wetsuit repairs. No experience necessary!! Prerequisite: Upgraded PADI AI or IDC Completion.